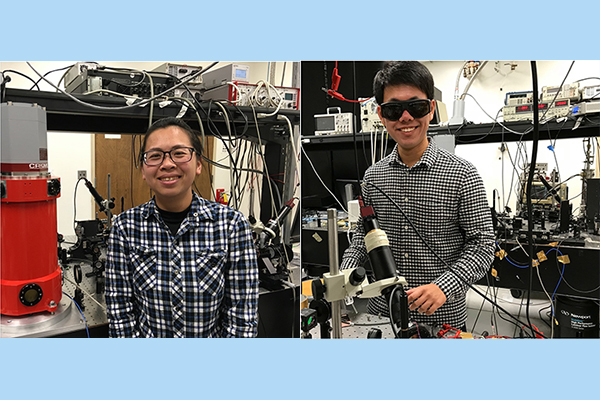 Yen-Ju & Xurong win the 2018 scholarship from Chinese American Engineers & Scientist Assoc. Yen-Ju Lin and Xurong Li, Ph.D. students from Prof. Jarrahi’s group, have been awarded the 2018 scholarship from the Chinese American Engineers and Scientist Association of Southern California for their significant academic accomplishments. Chinese American Engineers and Scientist Association of Southern California (CESASC) is one of the largest and most established Chinese American professional organizations in Southern California. Founded in 1962, CESASC has been dedicated to promote interests, aspirations, and professional excellence of Chinese-American engineers and scientists. Congratulations!